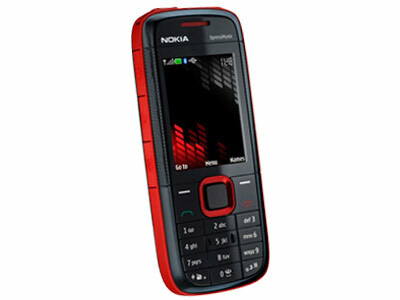 The Nokia 5130 Xpress Music is every inch a music player as it is a mobile phone. For one, its music keys, just like the phone's number keys, are neatly laid out; no need to flip, switch, or transform anything here. It comes with a 1GB microSD card, which makes for 250 songs. With a battery life that goes 21 hours straight, allowing that number of songs is pretty consistent. If storage space sounds too conservative, well, the 5130 Xpress Music is expandable up to 16GB. That's one gig more than the storage space of the first generation of iPod, no? If that's not enough, it also has an FM radio, in case you get the urge to know what is going on in real-life radio. While sound quality is still bad, the 5130 has as built-in equalizer that cushiones the ugly blows. Apart from that, it thankfully doesn't make use of propriety add-ons, which means you can use your state-of-the-art headpones to help the sound quality. Lastly, like almost all media players now, you can use the phone as storage—simply plug the phone via the included microUSB cable into yoru computer and you're off! You don't expect the 5130 to beat the iPods and the iRivers of this world. But it sure is a steal at P6,700.00!